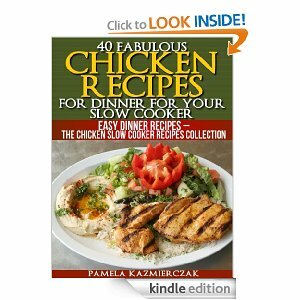 Click here to visit the Amazon site and you’ll be able to score “40 Fabulous Chicken Recipes For Dinner For Your Slow Cooker (Easy Dinner Recipes – The Chicken Slow Cooker Recipes Collection).” You don’t even need a Kindle to read these. You can read them on iPods, iPhones, computers, smart phones, and more. Click here for more information on that.